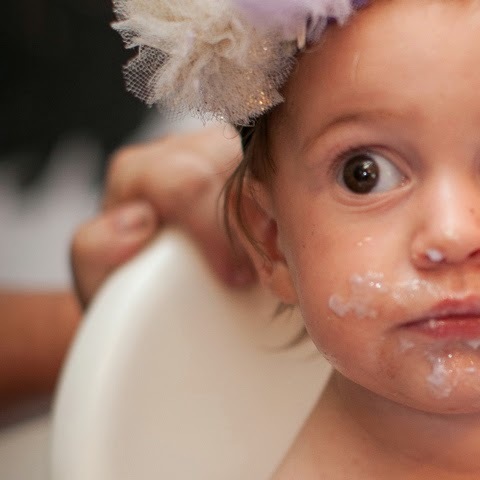 When it came time for my little girl to turn one... I needed a unique theme to celebrate the most special little girl I know. 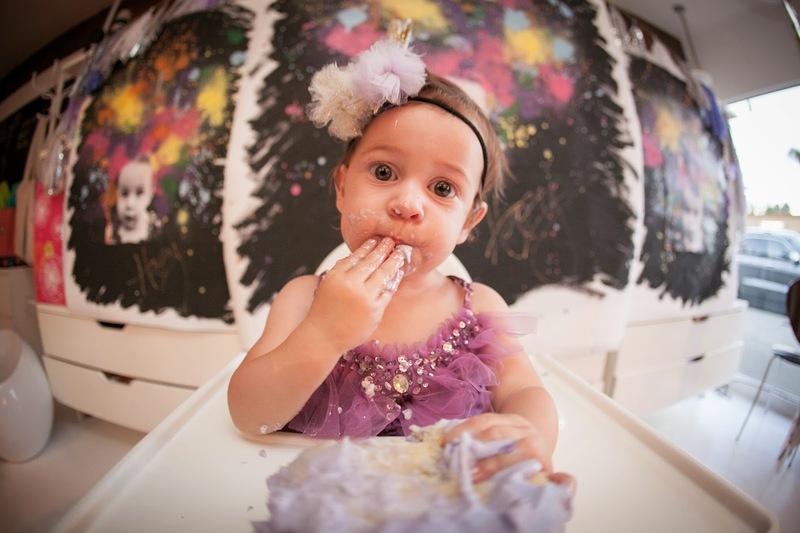 We call our sweet little lady Hazel, Hazy... so I thought I would just go with a simple PURPLE HAZE theme. I just wanted it to be extra beautiful ... fresh flowers and purple purple purple! I hand painted the watercolored party hats (which I hot glued fresh flowers to on the day of the party! So pretty!) 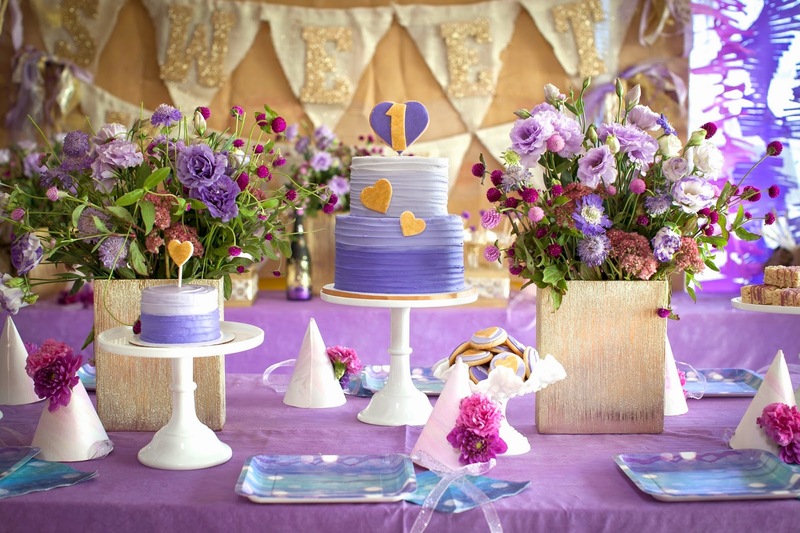 and dip dyed the table cloths myself the week of the party... but I still need a WOW moment! I was driving back from a luncheon with my brilliant business partner when it hit me... the Jimi Hendrix PURPLE HAZE poster. I love that image...Jimi's face with that mad fab multicolored afro! THAT was IT!!! The big WOW moment I needed! I had a friend print a black and white image of my Hazy on canvas, which I then hot glued to a larger piece of canvas. 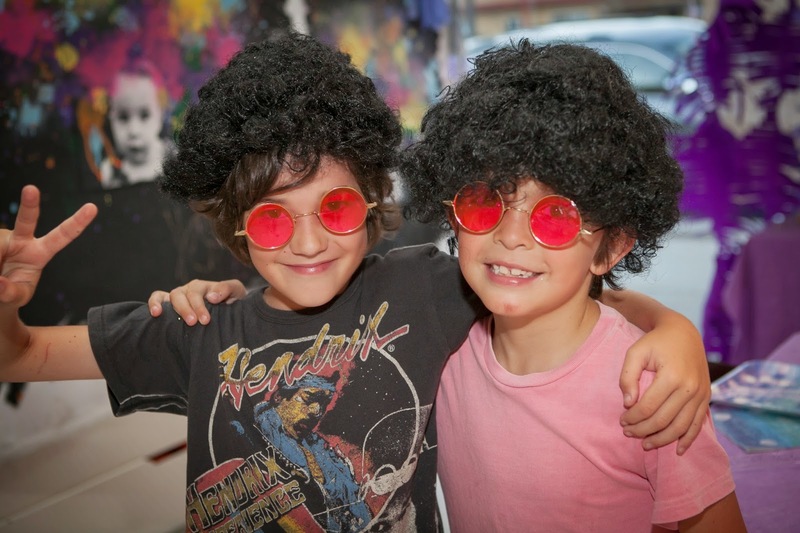 I painted the background blackest black and then got to the fun of spray painting the afros!! I ADORE how they turned out. 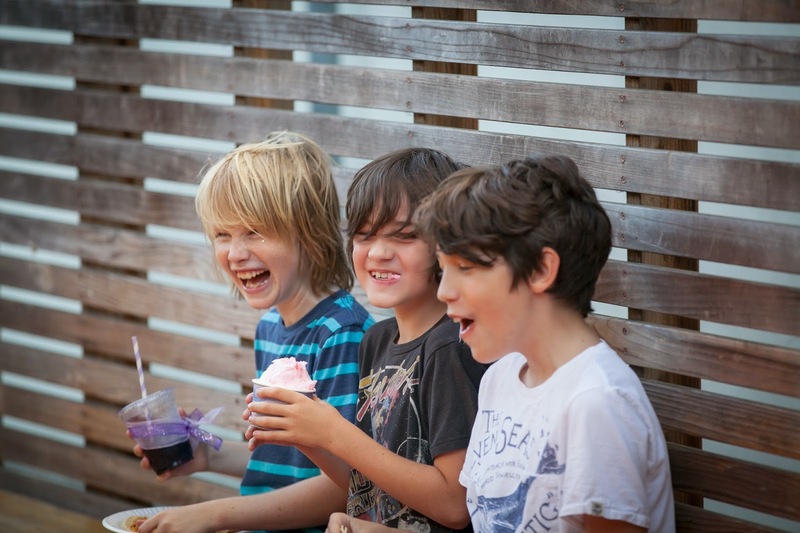 So cool and fun -- and the three of them behind the birthday girl at cake time made SUCH an impact. I have one of the paintings hanging in my house now -- I love it so!!! 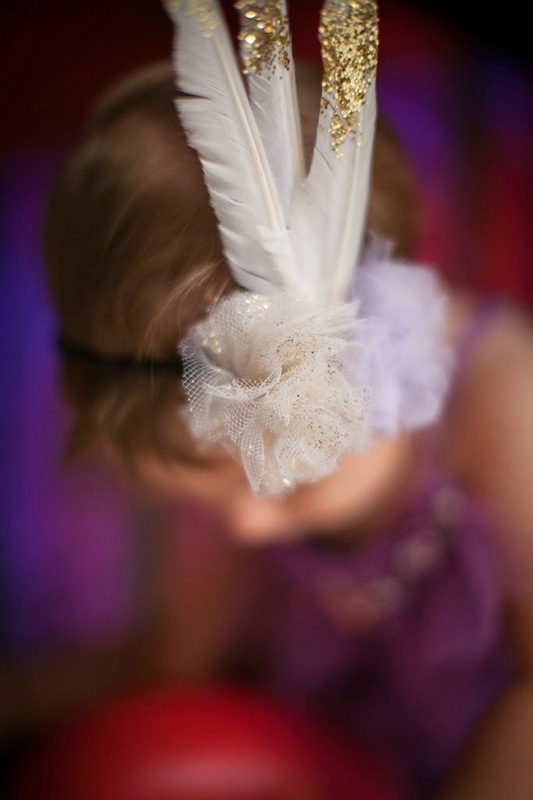 All the super cool guests got afros and groovy round shades... and I hand made feather headdresses for all the little and big ladies (mommies!) 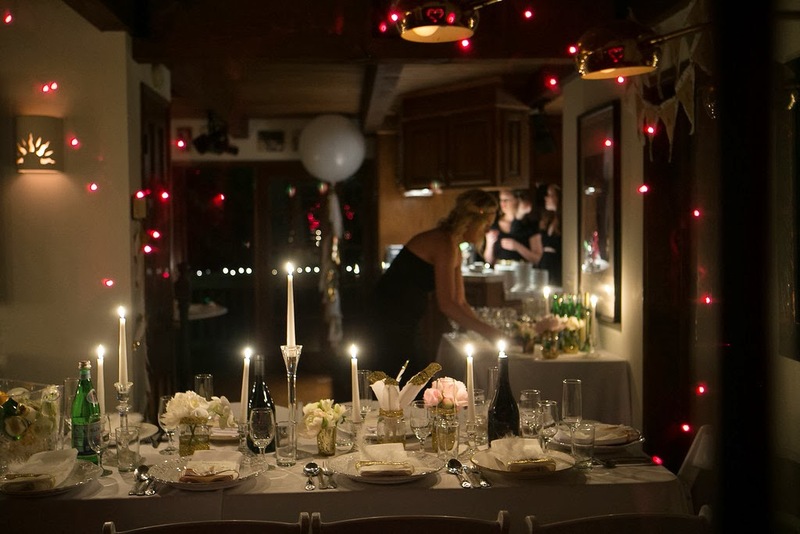 at the party. I have a "there is no such thing as too much glitter" mentality.... so I went absolutely bananas in the glitter dept! 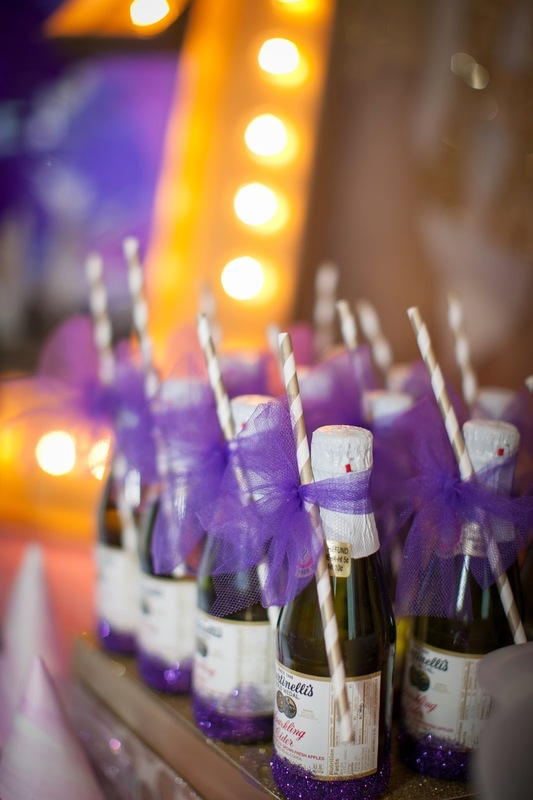 Glittered the champagne bottles, glittered the champagne glasses, glittered the burlap goodie bags... glitter, glitter,glitter! I also made a large burlap flag pennant Banner that said (in gold glitter, natch!) SWEET HAZY... and believe it or not that #1 light up marquee sign... I made it with just foam board spray painted gold that I glued into the shape of a 1 and poked string lights through as the bulbs. It turned out great, I think! One of my other favorite features was the balloon chandelier I did over the bench in the play area. I did purple and tie dye (Lucinda found those for me!) 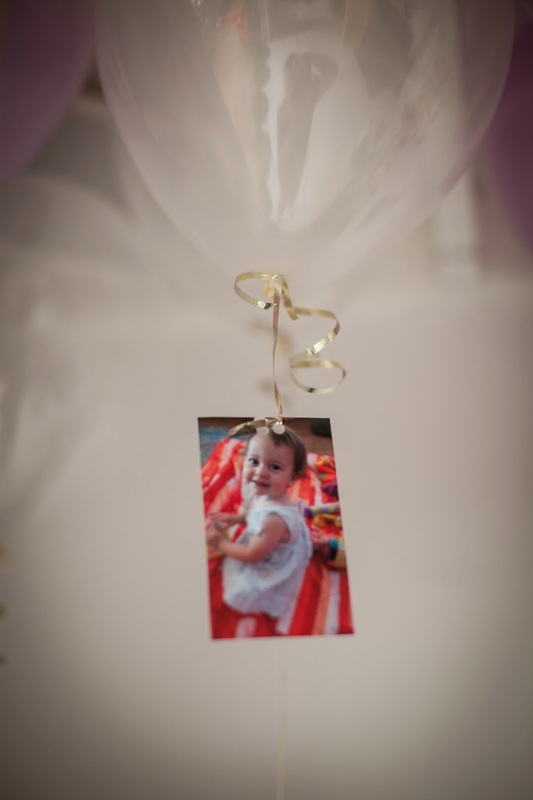 and silver helium balloons with different pictures of Hazel throughout her first year hanging from each one. I tried to be sure to include all the guests in the pics as well. It turned out really lovely -- and was so fun for people to find their picture with Hazy in the mix!!! 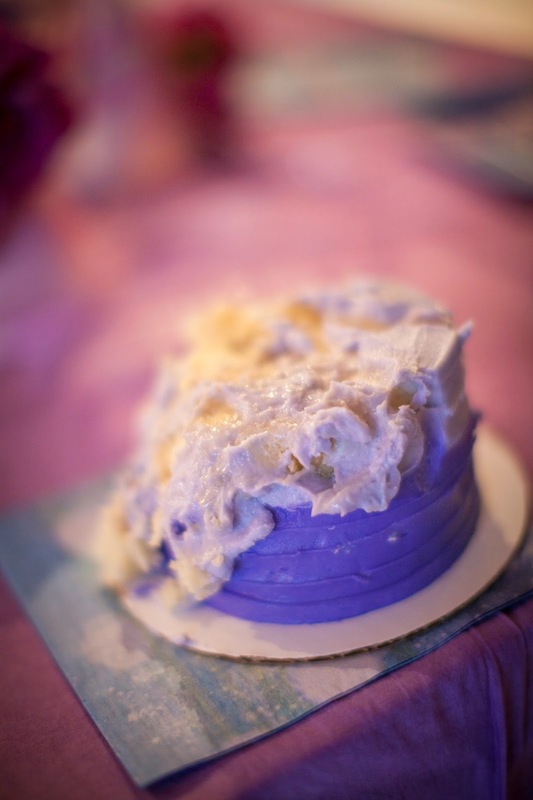 The super amazing Julie from Blue Cupcakes did all my cakes and sweets. I ONLY use Julie for my events -- and I think you can see why! She's a true artist! 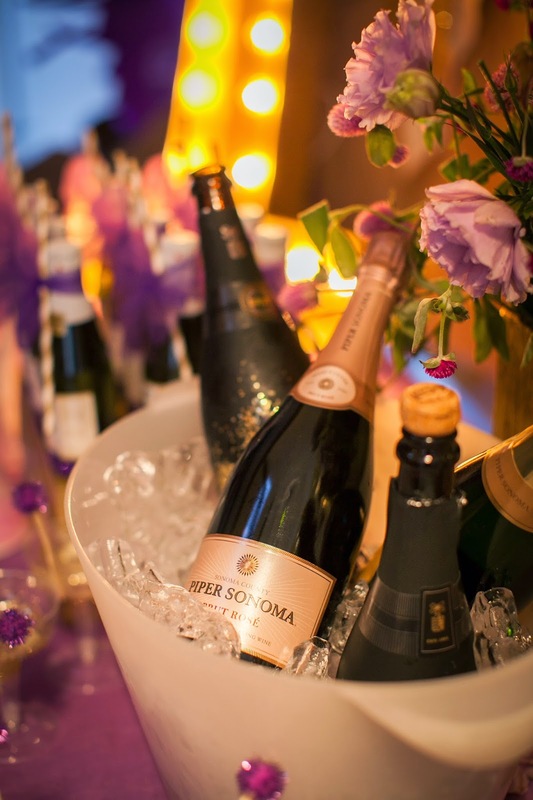 I was so so happy with the party. 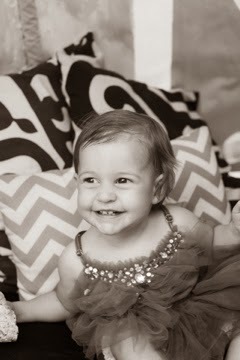 Everything looked frilly and girlie and fabulous... and artsy and glittery and wonderful. It was all that I wanted it to be and more!!!! When my 12 year old was two he ADORED the WIGGLES. So much so that we actually brought our 3 day old baby Grant to a Wiggles concert rather than disappoint our little Wiggle fan!!! 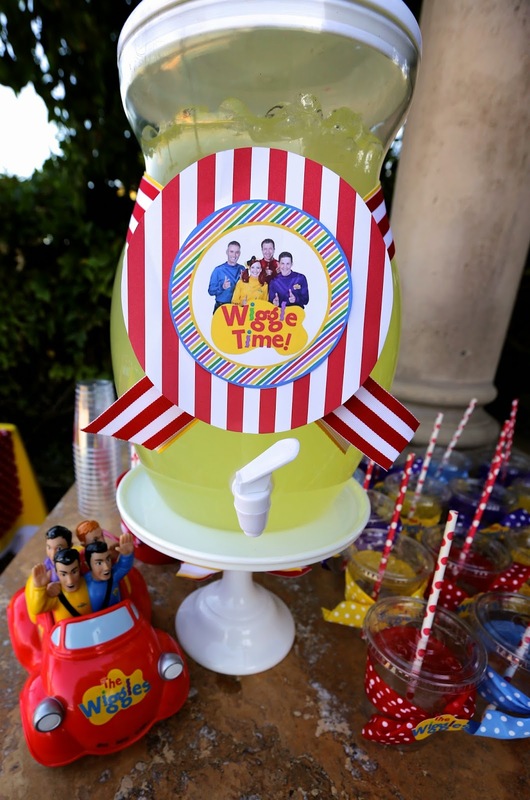 So it really took me back when a mom recently requested a WIGGLES themed party at home for her beautiful daughter. Apparently there is a whole new cast of Wiggles and they are making quite a splash with the newer generation! 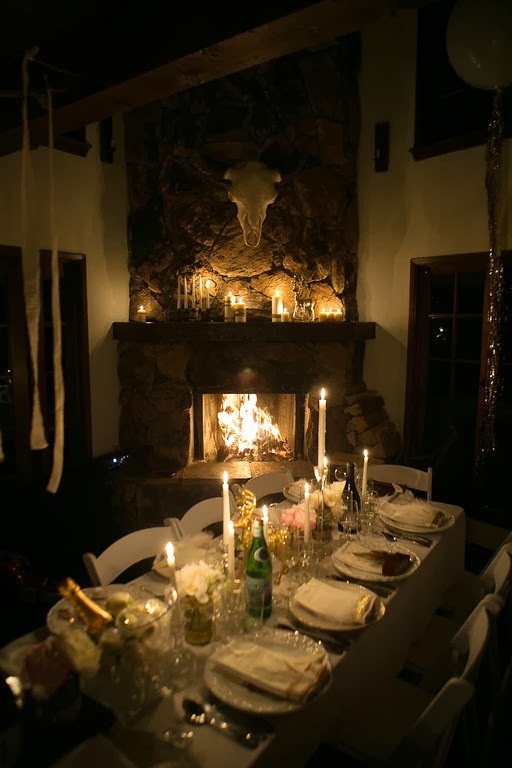 I was thrilled to design this party. I went with red and yellow as my base colors for the party look. I sprinkled in some blue an purple to make sure all the characters colors were represented... but mostly it was bright yellow and red.... which I think looked great. I hand made a paper chain out of polka dot paper (haven't done that since elementary school I don't think!!!). 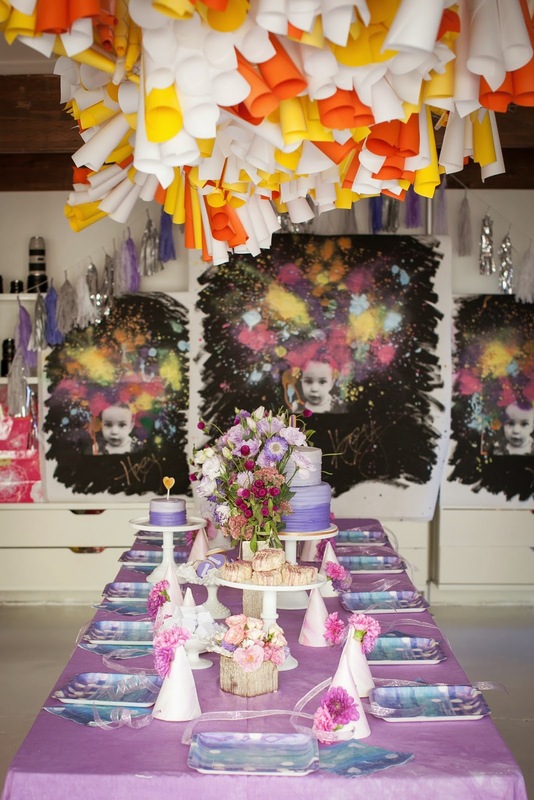 The paper chain along with the Happy Birthday banner made a fun festive backdrop to the treat table. The cupcakes were from Julie at Blue Cupcake and were beautiful, as always. 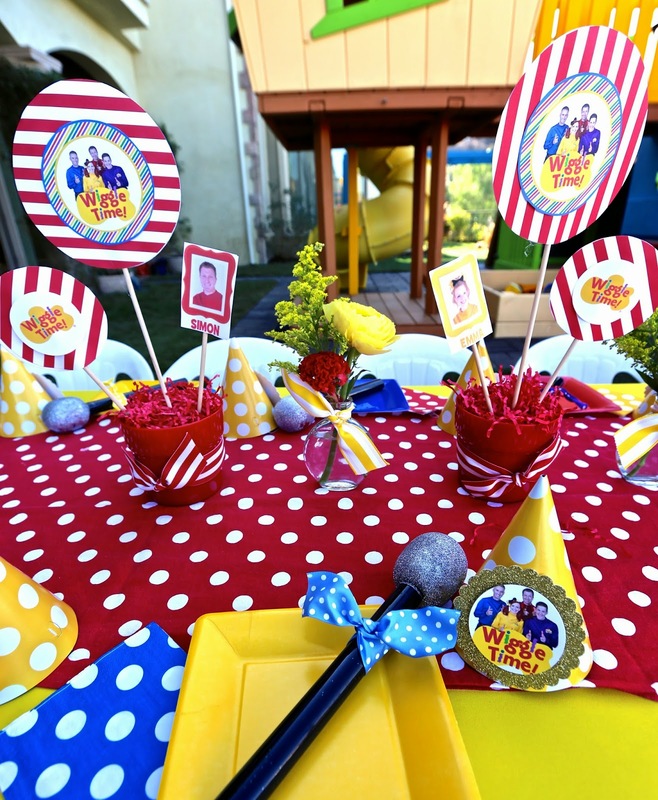 For the kids seating table, I used one of my new favorites -- the red dotted table runners -- over solid yellow cloths. I did Microphones with wiggle colored dotted bow on each place setting and found a vintage Wiggle Big Red car toy that I put on a riser (with flowers too, of course) as the main centerpiece. Speaking of flowers -- I told you I was going to use those fab gumball flowers again! 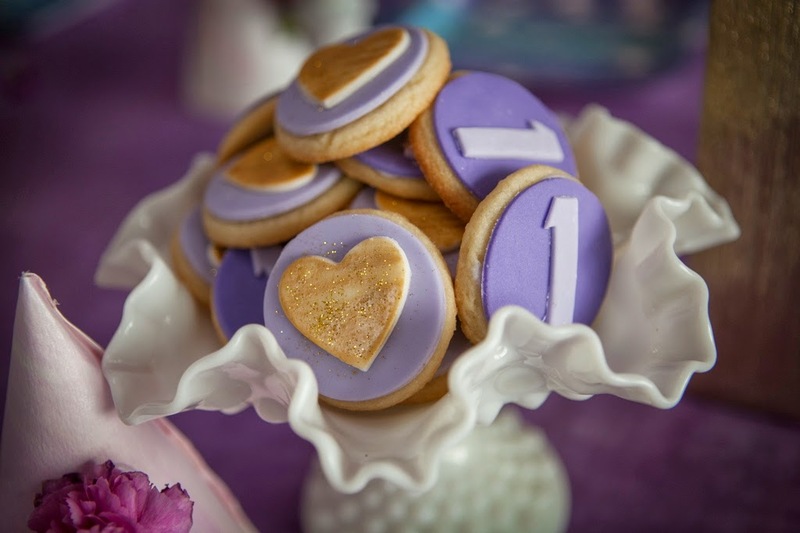 Re purposed from Gracie's Sweet Shoppe party -- and they were just darling with this theme as well! 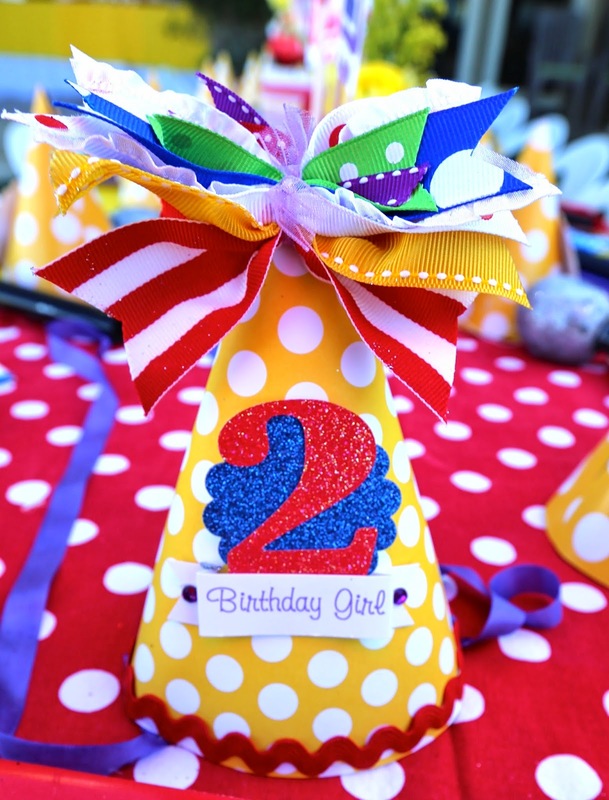 The birthday girl got a special party hat and everyone else got yellow dotted cone hats that I jazzed up with a glitter circle and a pic of the Wiggles. The wiggles logo was on the cups -- which were also wrapped in dotted ribbon. I love the flowers on this party too... red and yellow, bold an bright! I am really loving how it all turned out! 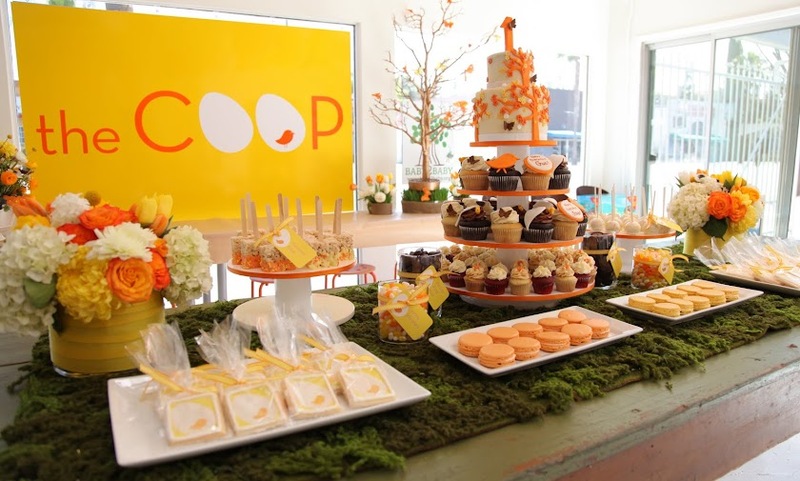 Call us today to book your PARTY AT HOME and we will bring a COOP party to your backyard!!!! 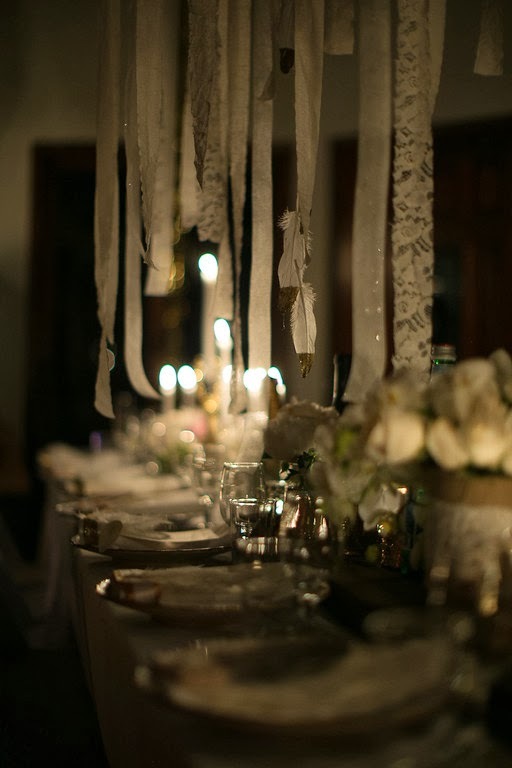 There is SO much JOY in helping people create memorable events to celebrate the ones they love but when given the opportunity to work on your own event it is truly AMAZING... Coming from Australia I live very far away from my family and I am often terribly homesick for them. But over the years I have found friends in Los Angeles who have truly become the family that I have found for myself. 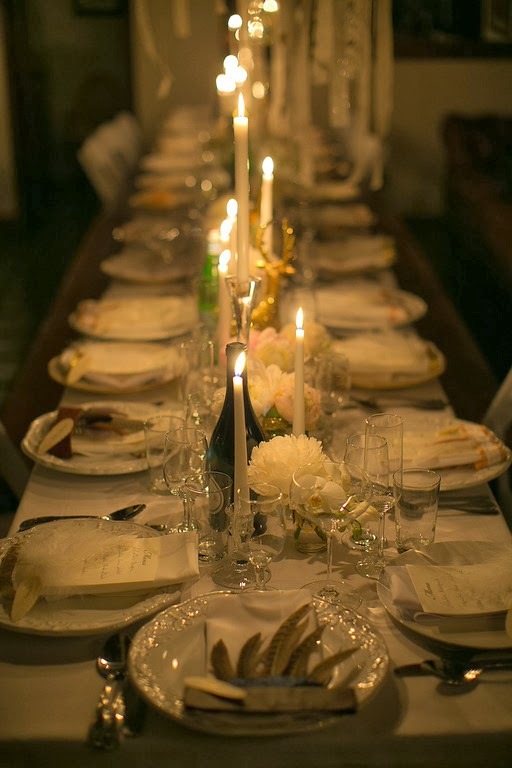 So it was with so much LOVE that I created a very special dinner party to celebrate all of the wonderful people I am blessed to call friends. 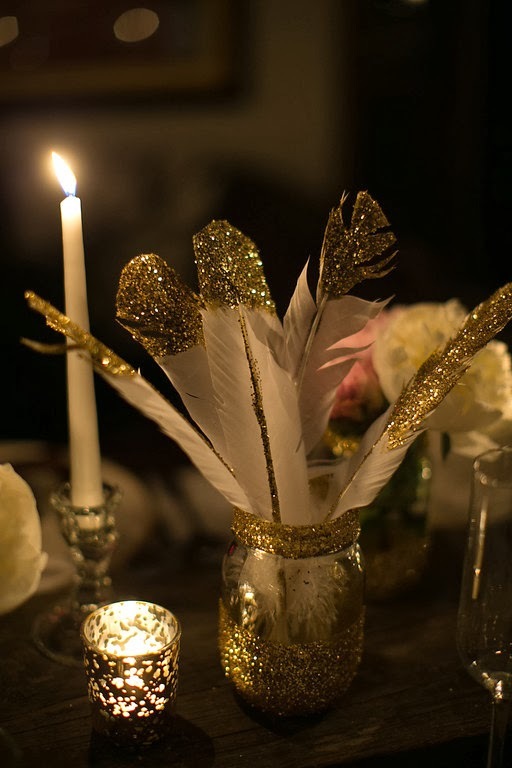 I love GOLD and WHITE as a color combination and I love using feathers as decor so it was with all of this in mind that I created my dinner party oh and glitter too!!. I knew I wanted to use some rustic wood elements and as I live in Laurel Canyon I possibly wanted to incorporate the peace sign . I found a fantastic branch in my garden that I knew it would make a wonderful chandelier. 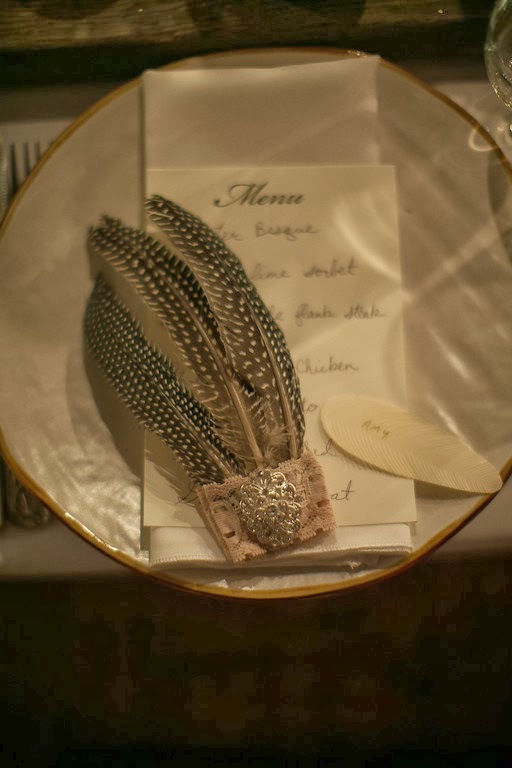 I had originally thought to hang hand glitter dipped feathers only from the wood but as I had elements of lace throughout I realized it may be better to hang lace material and ribbon as some bird flu phobes may not like all the feathers over the dinner table. 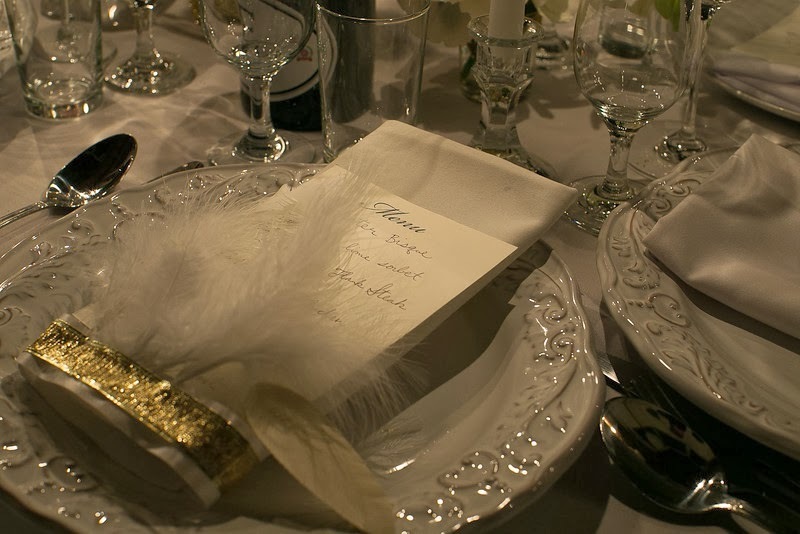 I did sneak feathers into vases on the table as well as in the table setting head pieces. I also found an old wooden plank near the trash cans and realized that it would make a FANTASTIC table runner - which it did. Oh and the price was right too!! As we live in a small CABIN I knew I didn't really have the room for a fall bar so I thought the bathroom next to the dining room can be the bar. So I made a burlap and lace banner that said "Le Bar Le Bain" and hung it over the bathroom door. I filled the bath tub with ice and VOILA the perfect bar. 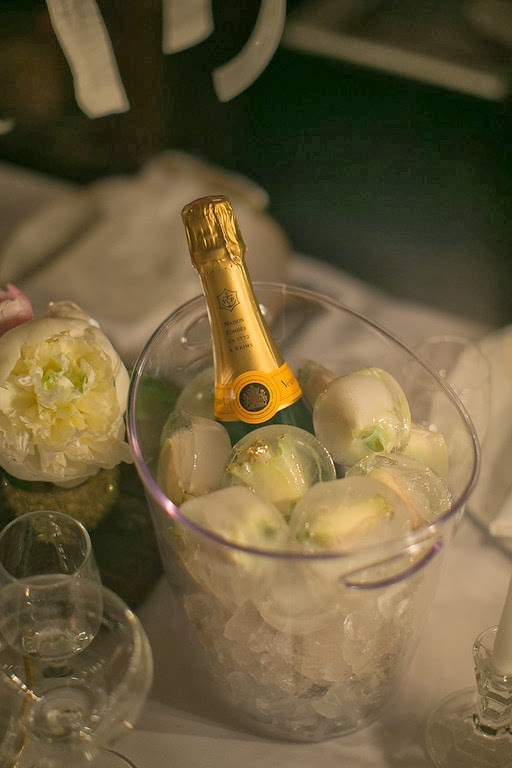 I glittered white roses with gold and made ice-cubes with them I filled little vases with my favorite flowers - peonies of course and I hand wrote each of the menus wanting it to be as personal as possible. 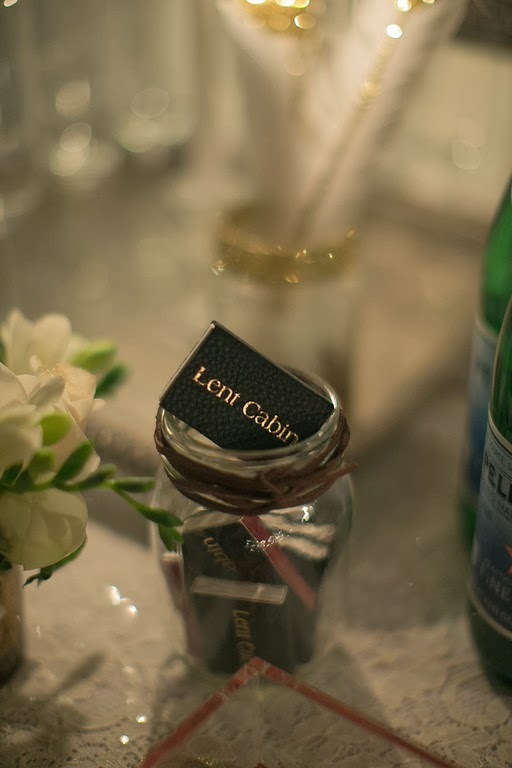 When guests arrived I had one of my TALENTED COOP employees shoot a Polaroid and then put the photo in a SNOW GLOBE which I had decorated with gold ribbon it really was the PERFECT parting gift and very easy to do. When it came time to create my peace sign of lights outside the living room window I just couldn't get the shape right and really wasn't feeling it. 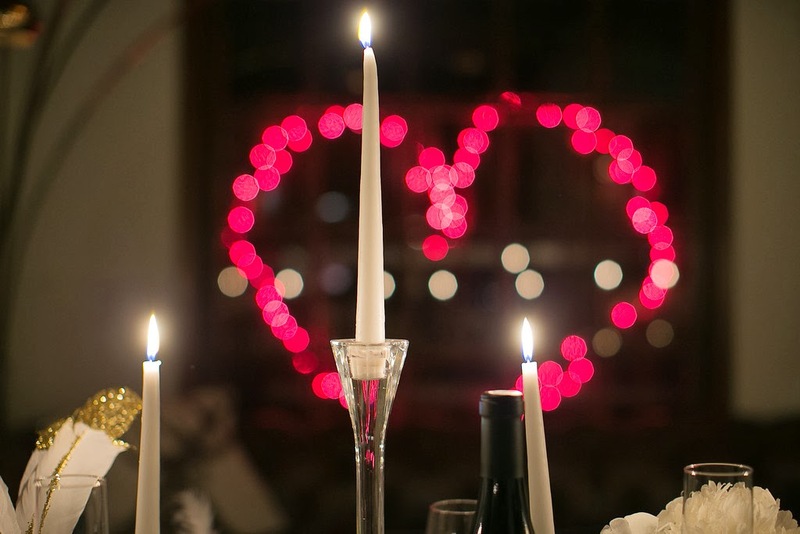 My husband Todd then said how about a heart and honestly at first I thought "nope a hearts too cheesy too obvious". Todd then said lets give it a try and I am so glad he did. 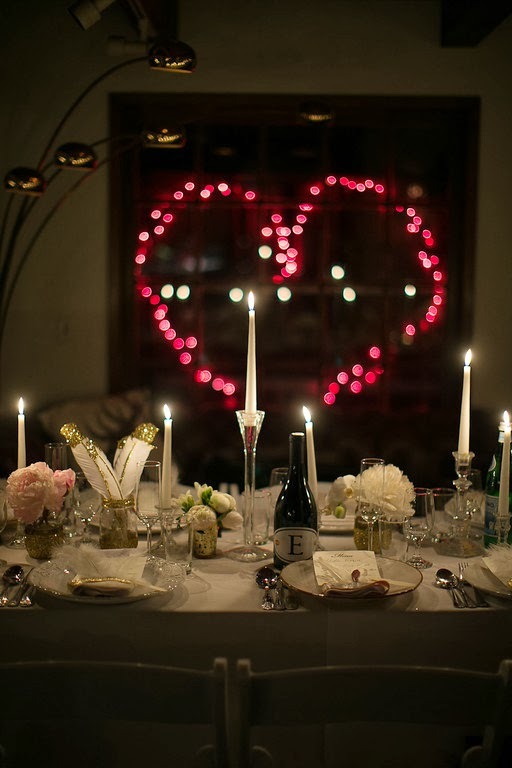 In every picture you can see the heart reflected in some way and it really sums up the entire magical evening - pure heart!! !